The management of residential and commercial properties is similar in some ways and very different in others. If you happen to be a landlord you will want to consider hiring a property manager. Someone who is familiar with managing residential properties. It does not matter if they are residential properties, single family homes, town homes or apartment buildings. There are various bylaws and government laws that are specific to residential property. Find companies that have the experience. They need to know how to deal with these requirements. The tenants are also very different and have many different needs. They come from various income strata’s and there are also many more of them as well. Commercial property management can be anything from large corporate malls to large office buildings. They require building upgrades and modifications to meet the customer’s professional requirements. Long term leases with rental guarantees etc would be the order of the day. Competition ruling the rent levels and the services provided. Managers deal with far fewer tenants. Residential property management on the other hand is governed by the rent levels that the market will bear. Along with what increases the government will allow in many cases. There are many more tenants to deal with per building. Perhaps even many owners if it is a multi unit condo. For example with many owners for the individual units. In some cases there may be a group of investors who purchase a building. Then they hire a management company to manage the rental building for them. There will be multiple objectives on one side and multiple needs on the other. As a result many property managers of residential homes to charge more per door than they would for a single owner building. In both cases professional level cash flow tracking systems, asset tracking systems are needed. Also a method of reporting that meets the needs of the owners and / or the board of directors of a condominium board. 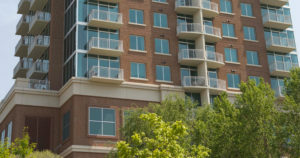 Condominiums represent another type of property management. The property manager is hired to manage all of the common elements of the building. They have virtually nothing to do with the interior of the units. Some units could even be rented and managed by different property management companies all together. This also adds complexity in terms of finger pointing on some issues. A property management company must have the right people in place to manage all different sorts of situations and buildings. If you are a customer, paying attention to the kinds of buildings currently managed and the level of skills, reporting etc is important. Talk to current customers of the property management company to confirm satisfaction levels. The type of information that is needed and provided may be quite different depending on the owners and the property management companies. Also the number one objective is to provide excellent customer service to both tenants and owners. But sometimes you cannot satisfy everyone and that then becomes the biggest challenge of all. Property managers must first make sure they are following the laws, they must be fair and honest and they must answer to the person or group that pays them. Ultimately that is what it comes down to . Do what is right. Be fair to all parties. Make sure that to the extent you can everyone’s expectations are met. If they are not met, you had better have a good reason and a good explanation to explain why it is not the way they would like to be! For many more posts about property management topics, click here. We recently received an email from a client who was looking for someone to look after their home for a one year period. This person is with the armed forces and is being posted out of the country for a period of one year. They have obviously decided that they do not want to rent their home to someone while they are away and they also want to be able to return from time to time during vacation periods and other time periods. They need a number of services which we will discuss in this post. They are taking the right approach to ensure that their home is looked after while they are away. This is where vacant home property management comes in, regardless of whether you have a friend, a neighbor or a family member look after the home. There are two really important things to consider when you hire someone or ask a favor of someone. First you need to always check with your insurance company to ensure that you meet their requirements for monitoring while the home is vacant. Failure to have the home monitored adequately could void your home insurance and void any claim you might have while you are away. Each insurance company is different in their requirements. Some want the water turned off and they want someone to check on the home every day. While other insurance companies are ok as long as someone checks on the home at least once per week. We will touch on pricing in our next post, Charges for Vacant Home Management. The second item to consider that is important is who you have look after your home while you are away. Regardless of who you have do this important task, they need to be dependable. They need to be able to always check your home according to the schedule you set and they need to be able to deliver a report to you after each visit. This is so important because if there is a claim to you insurance company, you will need to be able to confirm that someone was visiting the house according to the schedule they require. Hopefully there will be no situations that require the involvement of the insurance company etc, however these same people should also be able to deal with these situations under your direction. Choose your home sitter or property manager carefully and not just on price alone. Price is important, however you really need to make sure that you have the services you need. 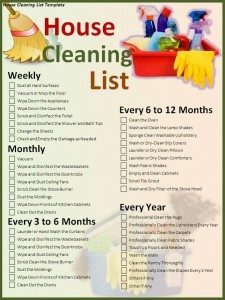 Most professional companies will have a checklist that they will walk you through to confirm all details associated with management of your home. After all, your home is your most valuable possession as are the the things in it. Why would you take a chance with your most important possession. For most insurance companies the major worry is water damage from leaking pipes. If you live in a cold climate were the pipes could freeze you are going to need someone to check more often unless you drain the pipes and turn the water off. Of course they want the security of the home confirmed each time, but the big worry is whether the furnace is working and the temperature is high enough inside the home to avoid water freezing in the pipes. This is where a professional property management company can really help you. They should visit your home on a regular schedule defined by you and they should also provide you with a report confirming that someone from the property management firm visited the home and verified the security, the temperature inside the home and that there are no water leaks. They are also concerned about break-ins, however there is not much you can do about this other than make sure that the home looks like it is lived in. Make sure that all newspapers and flyers are taken in every day and that the lawn is cut on a regular basis. These are dead give indicators to a vacant home. Some home owners will also arrange for lights on timers to come on at regular scheduled intervals in the rooms that you use. It makes no sense to have lights on in rooms that you do not use normally. Have the lights and timers in the rooms that you use and follow your regular schedule. In our next post we will discuss Charges for Vacant Home Management. If you have comments on this post please leave them. We love to get comments that our readers will enjoy and find helpful. For more information on vacant home checklists, click here. As a property manager of a home on behalf of a client, what are the things you need to pay attention to? There are many, but some are more important than others and we will try to cover a few of these here. This web site is aimed at the home owner and although this particular post is about property manager’s, we thought it would be useful to understand how a property manager looks at the job! If you understand the other person’s objective, then you will have a better perspective on how to deal with property managers and what to look for when hiring a property manager! This is important for a number of reasons – peace of mind, financial and contractual! It does not matter what anyone tries to tell you, the fundamental focus of a property manager is to make money. If they cannot make a profit in the services they are offering to you, they may just refuse to take you on or keep you on as a client. If you can recognize this fundamental truth, then you may be able to get the services you need at a price that you can afford! It is all about compromise and negotiation after that. Most property managers will talk about the great service they offer, the reports they provide and the communications they provide to you the client. They will indicate that this is their number one objective. Avoiding putting this down on paper in a contract is one way of retaining some control over what is contractually required. If you want something done, make sure it is listed in the contract, for how much, when it is to be done and to what level of quality! This may seem like overkill or indicate that you may not trust a person. It is really just a professional way to do business. These are the basics and everyone who needs their homes looked after will have more items to add to the list based on their own particular situation. We have not addressed pets in this case, however for those that need these services, you should add feeding, medicine requirements, exercise and emergency veterinary directions. As a property manager you will need to decide what services you will after including looking after pets, dog walking etc. Not everyone wants to take on the responsibility of looking after pets. Always have a contract and spell out the terms you need to have in it regarding the services you are offering to a residential consumer. This is a great way to manage expectations and avoid customer disappointment. We always include a questionnaire which we ask the client to fill in were they outline exactly what they need and any special instructions they wish to provide. This is basic communications were you make it clear to both what is needed. I even have the client sign or initial each page. Permission slips with the associated information are also included to allow us to contact insurance companies, alarm companies and veterinarians that might be needed in case of an emergency with one of the pets. While this is not a complete checklist, it is a general guideline were we urge both parties to communicate the services provided and the services needed so that there are no misunderstandings. Your comments are welcome. For more posts about property management topics, click here. There are many residential property management companies in the city of Ottawa. How do you know which one to utilize and contract with to manage the rental of your home or apartment, your investment property? Perhaps you just need someone to look after your home while you are away on vacation to satisfy your insurance company! Ottawa property management companies offer a variety of services. Some are city-wide while others cover only specific areas of the city. This is designed to minimize travel costs and the subsequent charges to their customers. There are very large property management companies and there are small mom and pop companies in the city of Ottawa. While we cannot vouch for any of these companies we urge you to review our post about residential property management to understand some of the things you should take into account when you are considering hiring a property management company. This list has a lot of common sense items on it that you may find helpful when you are interviewing some of these companies. Ottawa has approximately a million people living in the area and is spread out along the Ottawa river. Hiring a local company that is based in your area may mean that you can get a more competitive price, however be careful that you do not sacrifice services to yourself or your tenant to get a lower price. It could end up costing you a lot more money in lost rent or damages that you must repair if your tenant causes a lot of damage and then skips out with out your property managers knowledge. If you are leaving on vacation for a few weeks, check with your insurance company to see what the requirements are for someone checking on your home. Failure to have some one check on your home could mean that your home insurance is invalid and any claims may be denied. If you are a property manage and do not see your name on the list, leave us a comment and we will be happy to add it. For more information on Residential property management, click here. 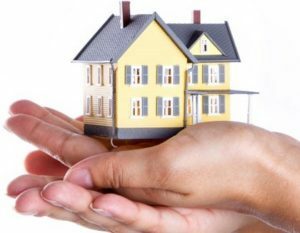 In every major city and most small cities and towns across the country there are Property Management firms offering a variety of services to clients who need to have someone look after their home, their apartment or their rental property. You can have an excellent service or end up with a nightmare if you are not careful. 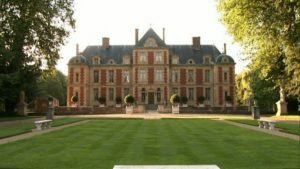 Hopefully some of the things we talk about in this web site will help you in your selection of a residential property management company for your home while you are away or for a rental property that you own. This web site is focused on property management for urban consumers who are either renting a home out to a 3rd party and want someone to look after the rental and the management of their home, the rental contract etc or are leaving their home vacant for a long period and need someone to look after their home while they are away. This latter group comprises snow birds who are spending the winter in the south, business people who are away traveling or people who have been transferred to other locales. Property managers also looks after rentals in the same city that you live in as well as properties that are located in other cities from were you live. There are numerous items to consider and we have tried to list some of the more important things in this post. If we miss any that you feel are important, please leave us a comment so that we can update this post to alert our readers. These are just a few of the areas you want to consider. We will discuss some of them in more detail to give you a flavor for what we are considering in these items. At one time we had a property manager who believed that having a low vacancy rate was the right way to manage a property. Yes, the property was always rented, however the people we rented to were not some of the best people to have in our units. All of the bad things that you can imagine occurred. They skipped town, they had a lot of damage in the unit, they missed rental payments and on and on. It is very difficult in some jurisdictions to collect from these delinquents and it costs more money to collect from them for missed rent and money to cover damages. We came to the conclusion it was better to have a unit sit vacant for a month while we found a better class of tenant who had great references and was not going to wreck the place! The cash flow was usually better even though the unit sat vacant for a month. This seems like a lot, but it is necessary to ensure that there are no surprises. Some people will not hear anything regarding their property for an entire year and then get a big surprise when they find they have to pay more money for major repairs or that cash flow is not what they expected. This applies equally to your renter as well as yourself. The renter needs to have someone they can contact in case of an emergency to solve his or her problems. If there is a water leak on a long weekend, you want it fixed that day and not after everyone comes back to work. Also if you the owner have a question, who do you call to get answers to your queries about information given to you on the property management reports. Remember to not be a pest either. Be professional and business like in your dealing with the property manager. If so, are they satisfied with the service they get from the property management firm? property manager, does not want reports and only wants to be called if there is a problem. Of course they will be happy with a property manager who never calls them and gives them the annual report they need for their taxes. I am exaggerating a bit here, but hopefully you get the point. If you both want monthly results with an accounting report and a narrative report and the person you are speaking with finds the reports meet their needs, then there is a better chance that you will also be satisfied with the firm you are considering. As we said earlier, if there are major thoughts missing in this post about property managers, please feel free to leave a comment. For more posts about a variety of property management topics, click here. Believe it or not most people are more concerned about someone breaking into their homes while they are away on vacation or business. The reality is that there is more danger of damage from a variety of other things than what you might not think of. 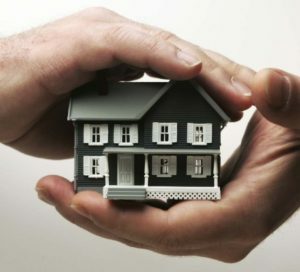 One of the main ones is that your insurance company may require someone to check on your home every couple of days. They need to make sure that the furnace is running and that there is no leaking water. This could be a condition of insurability so we tell everyone to check with their insurance company. Determine what is actually required before they head off on vacation for a couple of weeks. They are all different. There are probably many other reasons for having someone look after your home while you are away or if you plan to rent your home out to someone while you leave the country. It also may be a vacation property or an investment property. If you are reading this post and notice something missing please feel free to leave us a comment. The requirements are also much different depending on whether you have a traditional home with a front and back yard, vs. a townhouse, a condo or a rental property. The time of year also is a factor since you must arrange for someone to cut the lawn and trim during the summer , while the winter requires someone to clear the snow from the walkway and driveway if you live in areas that receive snow. These all need to be taken into account if you planning on hiring a residential property manager, a house sitter or arranging for some one to look after you home while you are away. We will be developing customized checklists for people in these various categories. If they do not quite fit or you have a special situation that we have not covered, please leave us a comment and we will update our lists. We plan on issuing a new post every two weeks so stay tuned to watch for our latest post.